During 1974 and 1975 Shirley Collins and Ashley Hutchings led a remarkable acoustic ensemble playing the traditional music of southern England, around the folk clubs and festivals of Britain. Twenty-seven years later, this important historical collection draws upon a number of private live recordings. 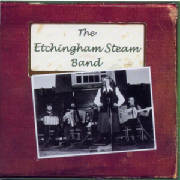 Named after the village in Sussex where he and Shirley Collins were living, the Etchingham Steam Band was an all-acoustic project of Ashley Hutchings, put together in early 1974 and featuring Shirley Collins as vocalist (who had earlier contributed similar material to both "No Roses" and "Morris On"). Initially formed around the nucleus of Shirley, Ashley, Ian Holder and Terry Potter (with occasional contributions from Simon Nicol), it transmuted into a larger, more flexible operation around mid 1974 with, at various times, contributions from Will Duke, Mel Dean, Vic Gammon, Dave Mattacks, and even Peter Knight (according to Pete Frame's "Rock Family Trees"), plus Eddie Upton as dance caller. 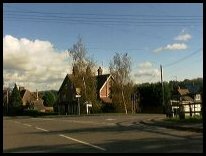 Eventually, a subset of the Etchinghams became the more "electric" Albion Dance Band, in 1975, which included Dave Mattacks as more of a permanent drummer (shared with Fairport Convention duties), and brought Graeme Taylor (ex Gryphon) and John Tams (ex Muckram Wakes) into the Hutchings fold for the first time. Shirley Collins, vocals; Ashley Hutchings, Tambourine, Vocals, Acoustic Bass; Ian Holder, Accordion; Dave Mattacks, Drums; Terry Potter, Mouth Organ; Mel Dean, Concertina; Will Duke, Concertina; Vic Gammon, Banjo, Concertina, Vocals, Melodeon. These are the finest flowers that ever my eyes did see. At the top of yonder mountain where fine flowers grow. It's over-decked with ivory to the bottom of the strand. It's a beacon for a sailor on a dark, stormy night. At the bottom of the mountain there runs a river clear. 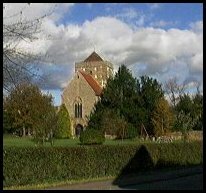 This strange song comes from Ned Spooner of Midhurst, Sussex, (although other, similar, versions exist). 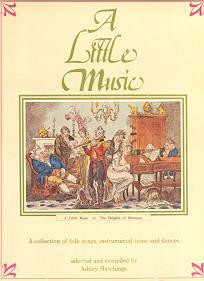 It was printed in the Journal of the Folk-Song Society, No. 17, 1913, together with exhaustive notes on its possible origin. In short, it is suggested that there is a religious mystical allegory in its background. I would refer those who would like to know more to the article. Rise Up Like The Sun website. that is often difficult to find. and others, of all ages and abilities.